It's here…it's finally here. It's the weekend that takes precedence over anything else in our house. 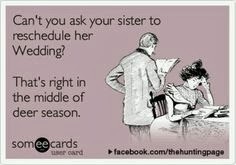 My husband would hurt me if I ever scheduled anything on this sacred weekend. We only do one thing & go one place on the first weekend in November. 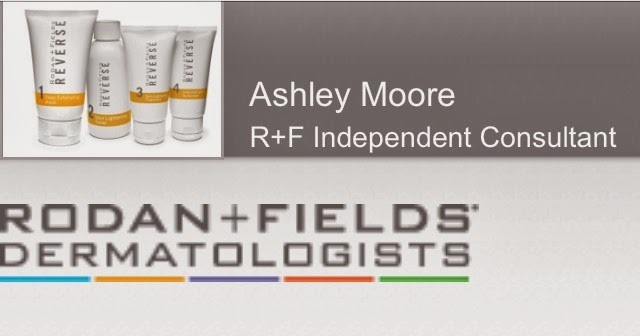 College football takes a backseat, birthday parties-we will mail a gift, weddings-no way. The first weekend in November in our family means heading out to west Texas & the only thing on our agenda is deer hunting. Yes, and I even take part. 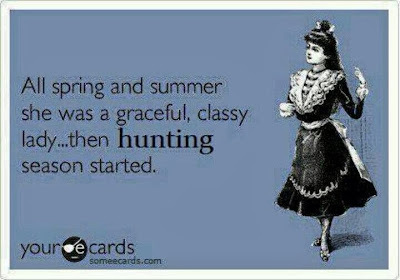 I grew up hunting. It's my husbands true first love. Sometimes I think he may love it more than me. We really enjoy it. It's our adventure that we do together. It gets us out of the city, away from the hustle & we can relax. Emma loves going out to the ranch & this year will be even more fun for her because we are taking her to the stand with us. 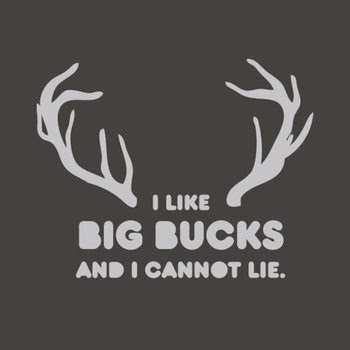 Being in the deer stand with my dad are some of my fondest childhood memories. We'd get up real early- dark early & head out to the blind. I'd lay in the floor & sleep, color & once daylight came dad would get me up to watch the deer. I'm excited for Emma to have that with us, but especially for her to share this time with her dad. I pray that it's a precious memory she will always cherish. I'm really looking forward to this trip because we have to kill something---our freezer is empty. We eat venison year round---hamburgers, tacos, spaghetti, meat loaf…pretty much anything you put ground beef in, well we put venison in. Our garage was broken into at the end of August & they took almost all of our blasted meat. 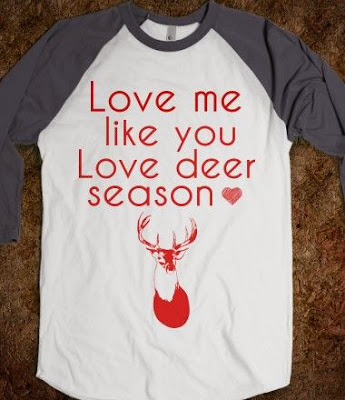 In honor of deer season here are some of my favorite hunting related things…. Now that we have kids, I don't go as often as I use to, so this is so true in our house. 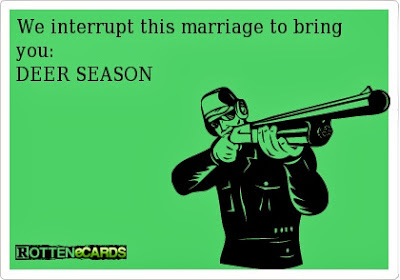 My husband hates it when we get a wedding invite during deer season. 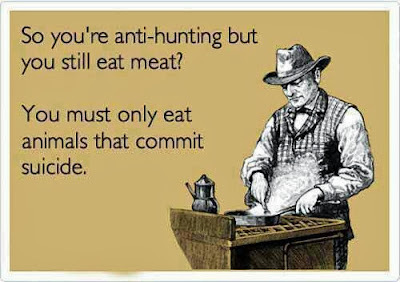 I grew up hunting too, but my husband has never touched a gun:) We'll be watching football! Hunting is a special holiday season all its own! Hahaha! I agree! :) Thanks for stopping by! You are awesome. My husband goes every year and I always stay home. We have been apart each Thanksgiving we have been married because I refuse to go :).